→What Are The Best Socks For Work Boots In Hot Weather? Wearing work boots in hot weather all day can be a real challenge for your feet and body. Finding the best socks for work boots in hot weather should not be a daunting task. Here, we will explain all the important features the best socks for work in summer should have and present our top picks based on quality, suitability in terms of hot weather conditions as well as excellent users’ reviews. Nobody said it is easy to wear work boots on concrete floors and stay on your feet all day, but choosing socks that are suitable for work boots and hot weather can surely make a huge difference on your feet and your whole body during your working day and at the end of it. 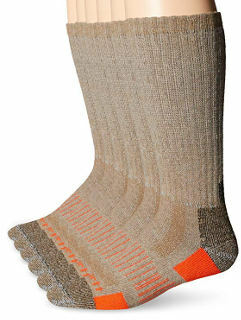 Work socks for hot weather need to be made of a material that is moisture-wicking, quick drying and odorizing. 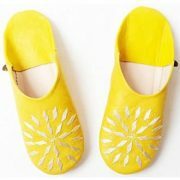 It should not cause feet perspiration or overheat but at the same time not be too thin either. Work boots require socks made of strong protective material that offers cushion and support keeping feet protected from those tough work boot materials and softening the impact of the boots. You may think that, as a naturally breathable material, cotton could be a good material for sweaty feet in work boots because it feels cool and works quickly to absorb moisture. The problem with cotton is that it does not dry fast, so your feet will be damp and smell badly at the end of the day. Also, the cotton material is not as stretchy as the synthetic and will gradually lose its elasticity after each wash. The best option is to look for quick drying material blends such as spandex, lycra, polyester or merino wool. Strangely enough, merino is thermo-regulating and odor-resistant, so it is both suitable for colder and warmer weather. It has the ability to absorb moisture and evaporate it outside the fabric. 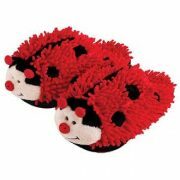 It is also durable and lightweight, which adds comfort to your socks. Wearing work boots in hot weather especially if you have sweaty feet means that you need to look for socks that are quick drying and odor resistant. Keeping your feet dry can improve breathability and prevent a number of foot issues such as toenail fungus or athlete’s foot. Looking for anti-bacterial fabric indications in the socks you buy is a good option. The height of the sock is an important factor to think about. Proper height should be determined according to the height of your boots and weather conditions. 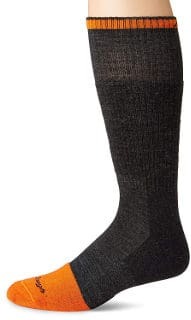 Taller socks protect your skin from abrasion caused by direct contact between the boot and the skin. 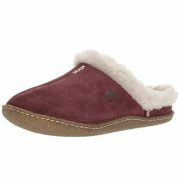 They also alleviate the pressure of a working boot and provide a nice fit around the calf. For warm weather, you don’t need to go for very tall socks and also you need to make sure that the socks stay up and maintain their shape so that they don’t lose compression and they are comfortable to wear. Working on concrete surfaces and standing on your feet long hours can cause foot problems such as Plantar Fasciitis and pain. 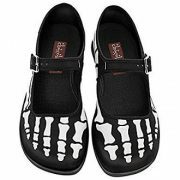 Especially people with flat feet need shoes and socks that support their arches and ankles. Socks that are made of reinforced mesh can provide arch support while socks that have ankle bracing can support the ankle’s movement. Compression socks can also help in cases of poor circulation. Comfortable socks for work boots in hot weather should have a great fit. They should be smooth and not fit tight in the toes so that blisters can be prevented. 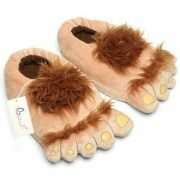 On the other hand, the toe area should not be too large to avoid chaffing. 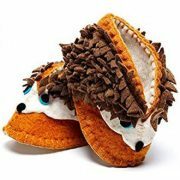 The material should mold to the shape of your foot, ankle, and calf so the sock does not move around on the foot. It should also be tight enough in the area of the calf to stop the sock from sliding down but not too tight to leave marks on your skin. Seamless construction will also guarantee that your toes do not get irritated. Extra padding in socks is sometimes necessary if you are working on concrete floors or standing on your feet for long hours. 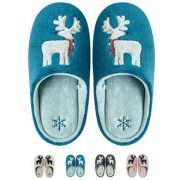 But padding might make the sole of the sock thicker, which may lead to the boot fitting too tightly and increase heat in the shoe. So, if you want to have padding in your summer work boot socks, you should check that it does not make the fit uncomfortable or your foot hot. Your heavy-duty socks will also need to be very durable so that they can be washed over and over again without any damage. To make your socks last longer, it is important to follow the washing instructions that the product manufacturers often recommend to their customers. 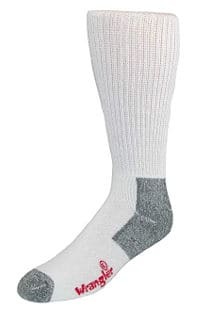 One pair of work socks you simply cannot go wrong with in terms of quality, breathability, foot protection, odor, and durability is these beautiful Darn Tough socks. 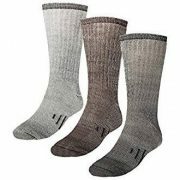 They are made with all weather conditions in mind and they are one of the best socks for sweaty feet in work boots as they are naturally anti-microbial, fast drying and breathable. Super lightweight merino wool material that feels warm in winter and cool in the summer is combined with Lycra spandex and nylon to provide you with high-density knitting that feels comfortable and fits well without adding bulk. The ribbed support offers a custom fit that prevents slipping, bunching and the appearance of blisters while the seamless construction makes this sock feel incredibly smooth and soft with no compromises in terms of long-lasting durability. Users simply say that these are the best socks that they have ever worn. It is also rare to see reviews saying that these socks have changed a person’s life but, in this case, it has happened. 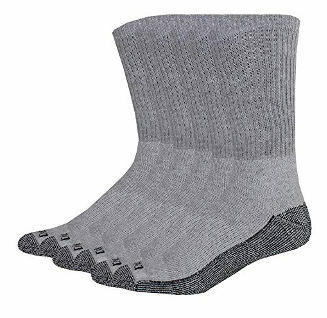 These socks work excellent with steel toe boots and are boosted with padding that is super protective and materials that are moisture-wicking and anti-odor. 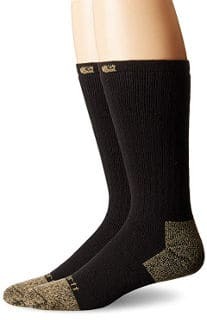 These steel toe working socks are the most comfortable socks for people spending all day on their feet, working on various surfaces, and they are great for hot weather and summer as well. 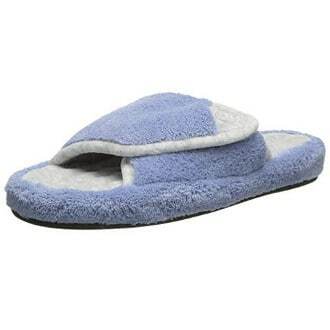 They are abrasion resistant and made of a breathable cotton blend. 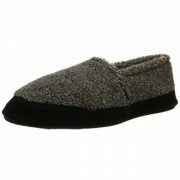 They are fully cushioned and feature arch support and anti-odor properties. 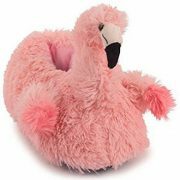 They do not slide down the legs and do not get sloppy after long hours of work. If you want to try and see how walking on a cushion feels like, give these a try! 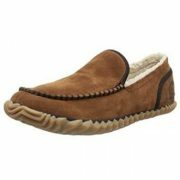 Users find them well made, super comfortable, durable and soft. These boot socks are designed for all season use. The mesh fabric makes them breathable and the Fast Dry technology wicks away the sweat and moisture. The blend of polyester, acrylic, nylon, wool, and spandex fights unpleasant odors while it is also resilient and keeps its bounce and good shape. The nano glide system adds to the durability and by minimizing friction, it reduces the chance of developing blisters. Free of sweat, blisters, and pain. 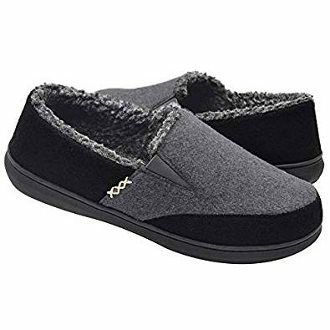 That is how people review these socks and they are pleased to wear their Carhartt socks with their steel-toed shoes or boots on cement floors. They wick away moisture and in the summer, they do not make their feet sweat or feel uncomfortably warm. 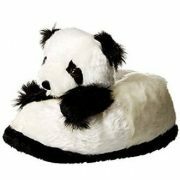 They are also cushioned and very comfortable. These stay-dry work shocks by Dickies are made of moisture-wicking fibers that keep your feet dry and properly ventilated even inside work boots. They are fully cushioned and they feature arch compression that adds stability and support to every step you take. Users review that Dickies work socks are great at wicking away sweat and preventing odor at the end of a long working day. 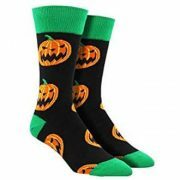 The thickness of the sock adds to the comfort and it does not increase the heat while the socks are comfortable to wear on concrete surfaces. Also, they stay up well and they are very durable. The price is unbeatable, too. These Wrangler work boot socks are thick but not hot, which makes them great for hot weather conditions. 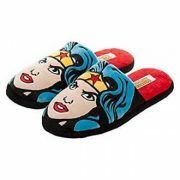 They are also lightweight and made of 80% cotton, 17% nylon, and 3% spandex. These durable and good looking work boot socks fit well and they are sturdy and comfy if you are on your feet the whole day. 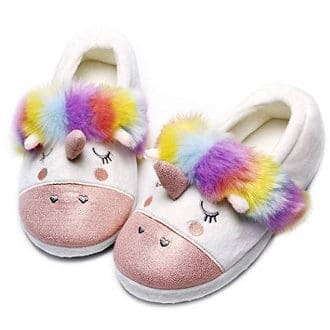 They feel a little cushiony and they are not bulky. Wearing socks with your work boots in summer is obviously unavoidable but wearing the best socks for work boots in hot weather can make a world of difference to your feet health and level of comfort.